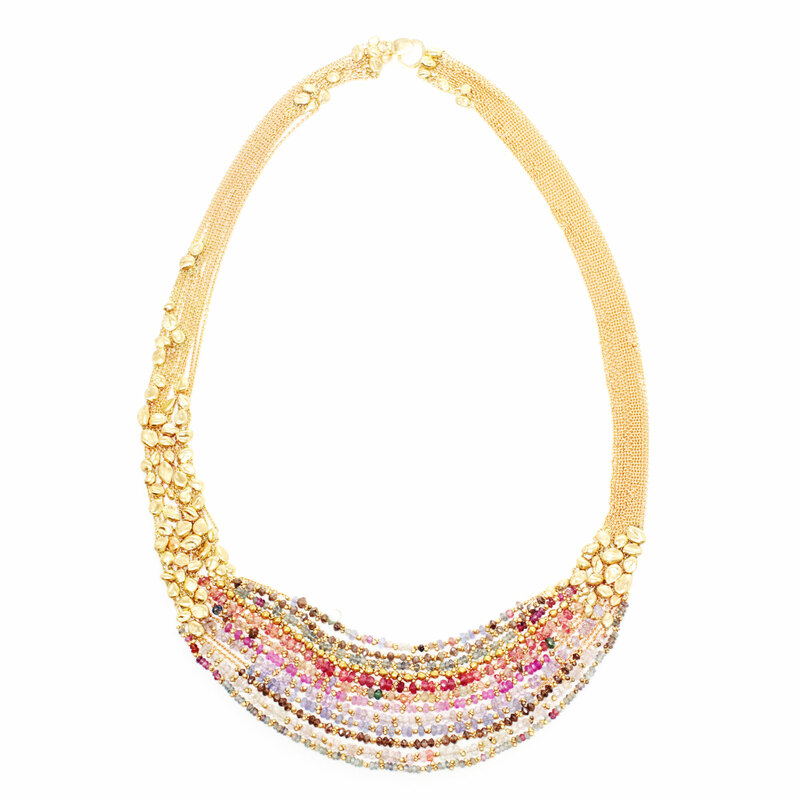 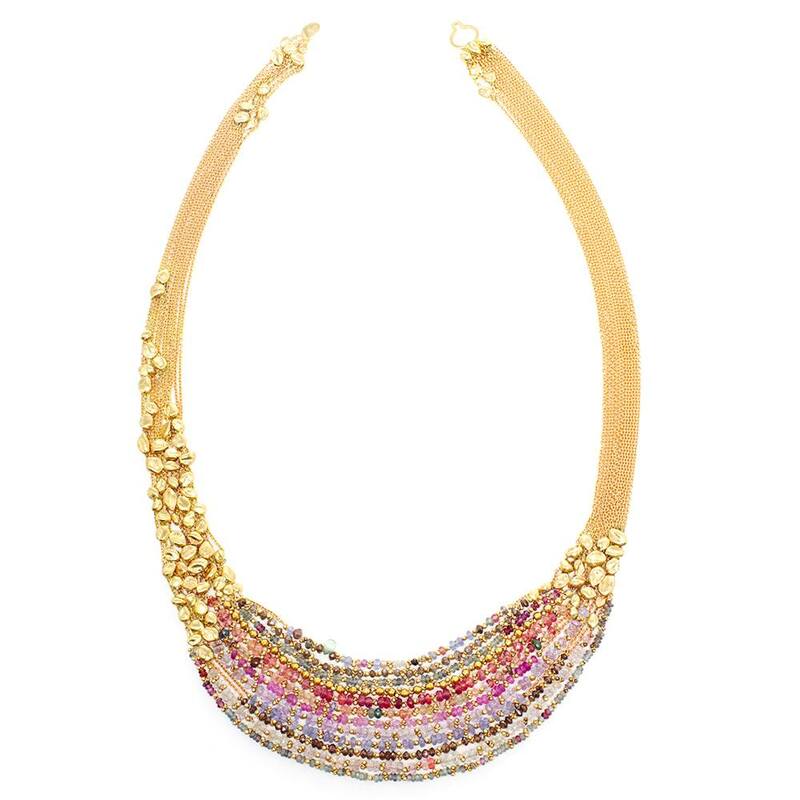 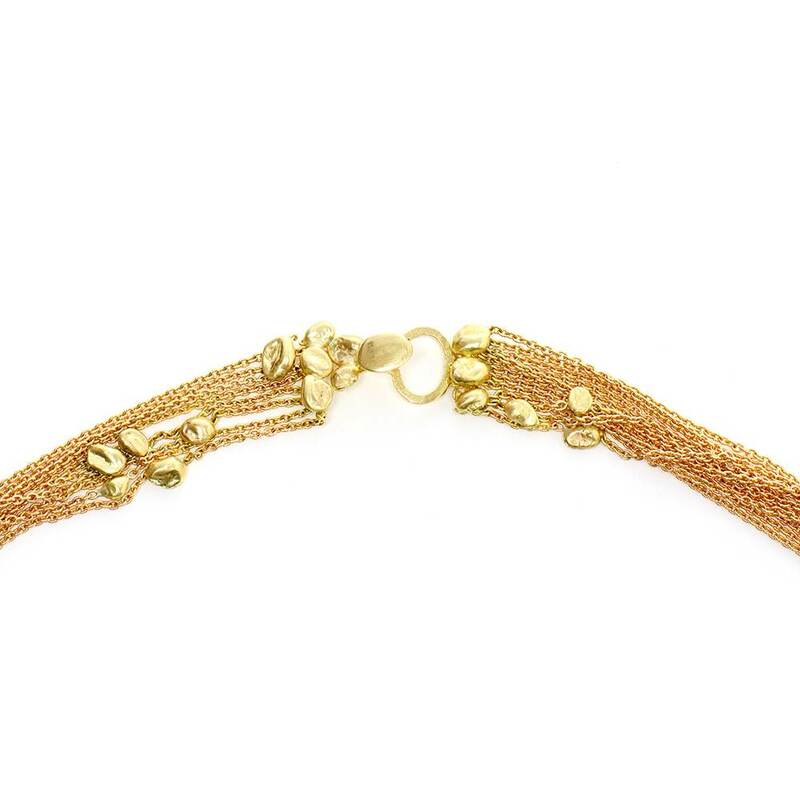 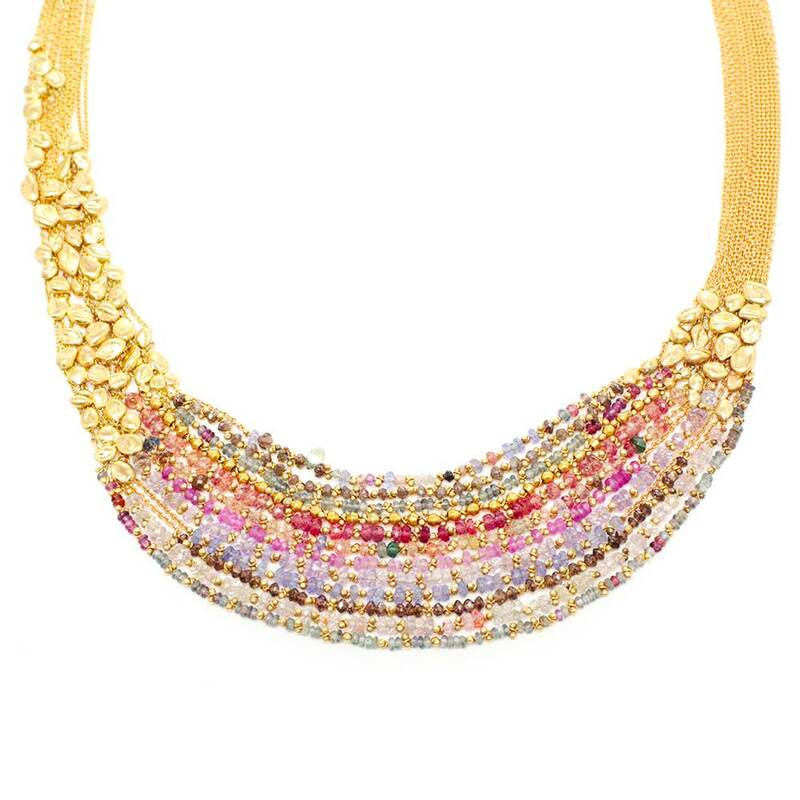 This stunning piece is made of 18k yellow gold, the handmelted nuggets are interwoven and moulded along the chain. 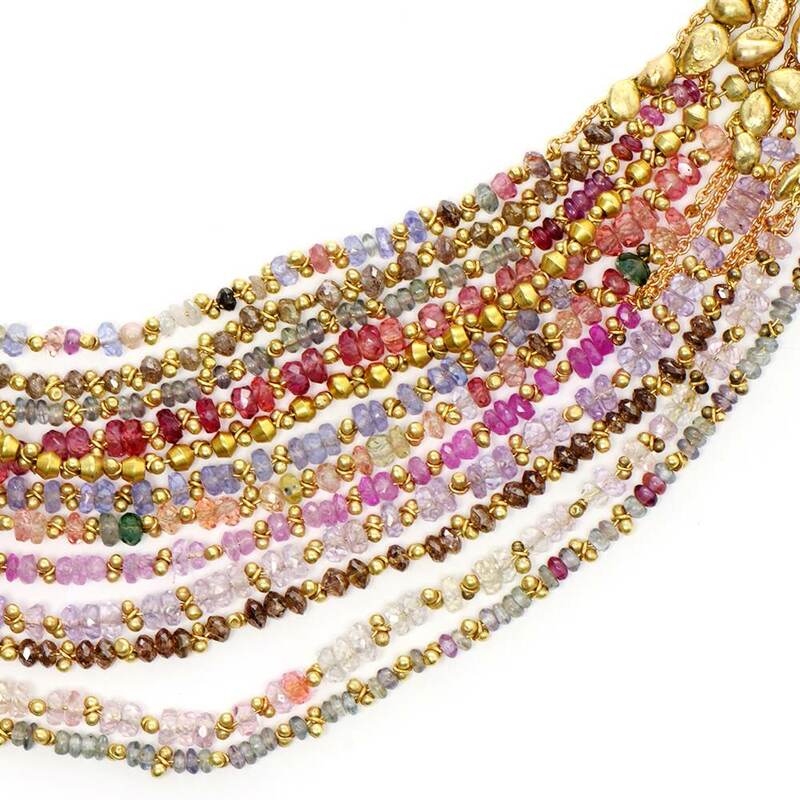 The stones consist of rubies, pink sapphires, brown diamonds, blue sapphires, rose quartz, grey sapphires, peach sapphires and pink spinel. 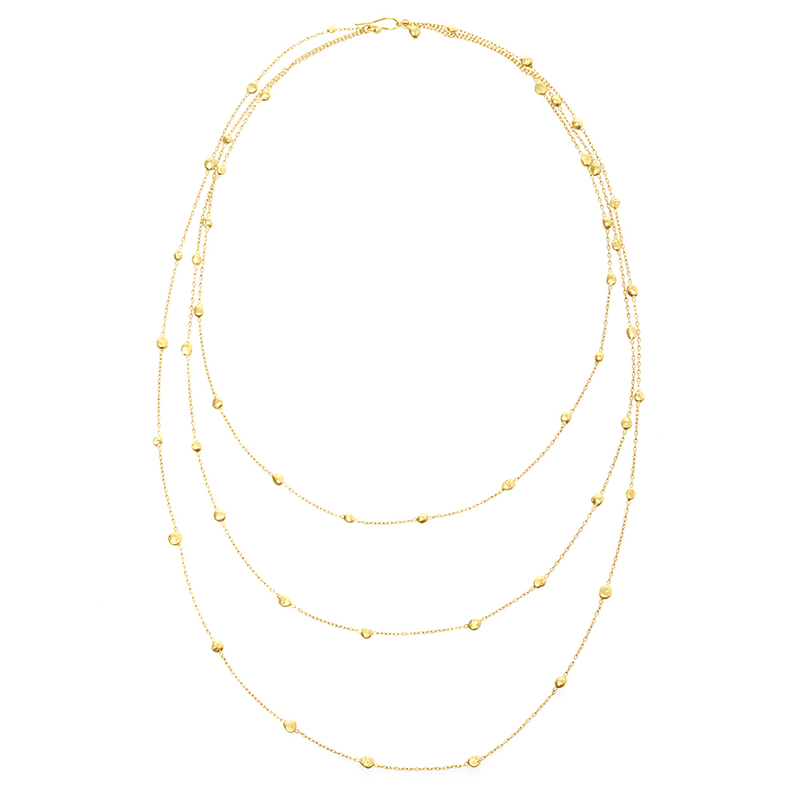 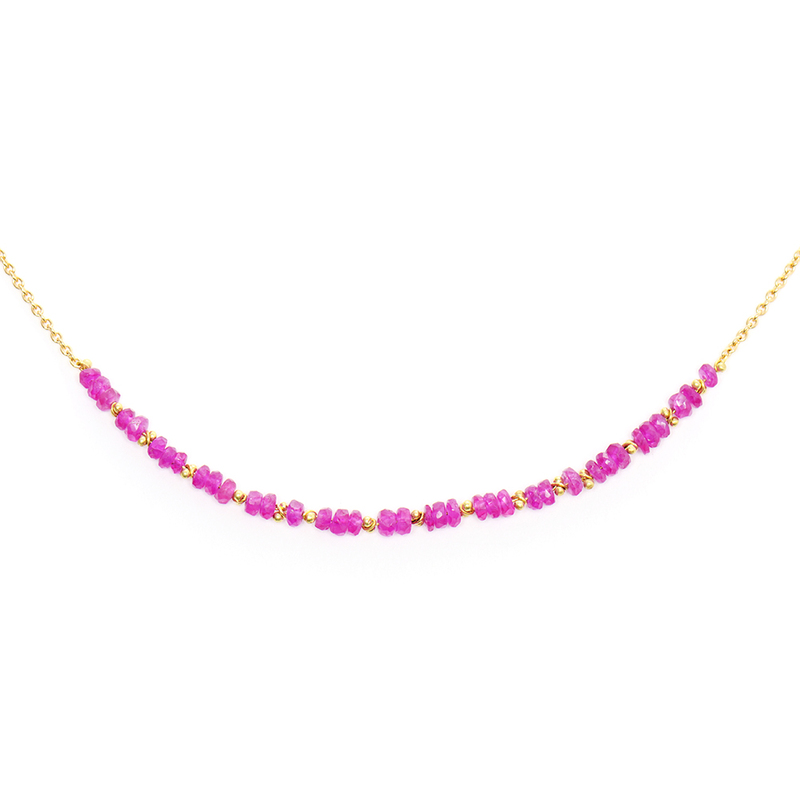 The approximate total length of the necklace is 45cm and the approximately width is 3cm. Please note this Natasha Collis item is handmade, therefore unique and may vary slightly from the item pictured.